ACCIDENTS HAPPEN. LET’S WORK TOGETHER TO MAKE THINGS RIGHT. All Backyard Fun will happily provide a refund for all items shipped by parcel service including burners, fireglass and fire pit accessories. Products need to be returned unused in its original packaging. Most of our outdoor furniture products are made to order and hand-finished to customer preference at the factory. Regardless, we promise to provide an awesome customer service experience to you, and thus offer a 90 day return period for your patio furniture or fire table unless it’s damaged (not in transit), stained, has been modified or is not in ‘like-new’ condition. 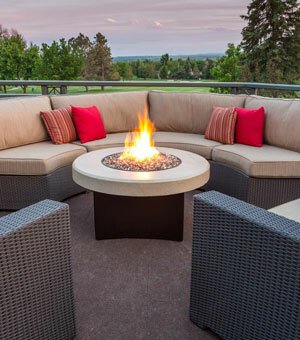 Patio furniture and fire tables are costly to ship. 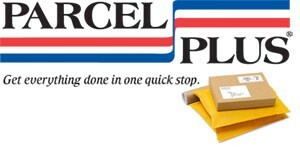 So if we covered the cost of shipping to you, you’ll be liable for the return shipping costs and packaging. Once we receive your shipment, our returns assessment team will inspect your merchandise to verify the reason for return and issue a credit/refund within 5 business days of receipt of product. We ask that ALL shipments be signed for with the message ‘pending inspection’ next to your signature. This protects you and ensures you will not be liable in the rare event that you open your merchandise and discover it has been damaged in transit or is defective. In the event your product is received damaged, we’ll be happy to promptly set up a replacement of the exact same product. Due to the personalization of many of our products (specifically furniture and fire tables), we can only exchange products for something different (color or style) prior to it shipping. NOTE: If a product was shipped incorrectly due to our mistake, we will gladly and promptly exchange the item for the correct one and cover your return shipping. Or we will issue a store credit. A warranty claim needs to be placed with the manufacturer. The manufacturer’s warranty covers defects in materials and workmanship. The warranty varies based on the manufacturer and the specific product. Defects resulting from negligence, accidents, misuse or excessive wear and tear are not covered by the warranty. If your product is eligible for a warranty claim, we will work with you and the manufacturer to get your replacement parts repaired or replaced. Orders returned to the manufacturer due to reasons other than damage or accepted returns (such as an undeliverable address, customer refusal, missed delivery appoint-ment, etc.) will be subject to the cost of shipping the item back to the manufacturer as well as a 20% restocking fee. Please send your questions to [email protected] or call 1-800-451-2550 and one of our team members would be happy to assist you.